Umrah is one of the most beloved worships of Allah. 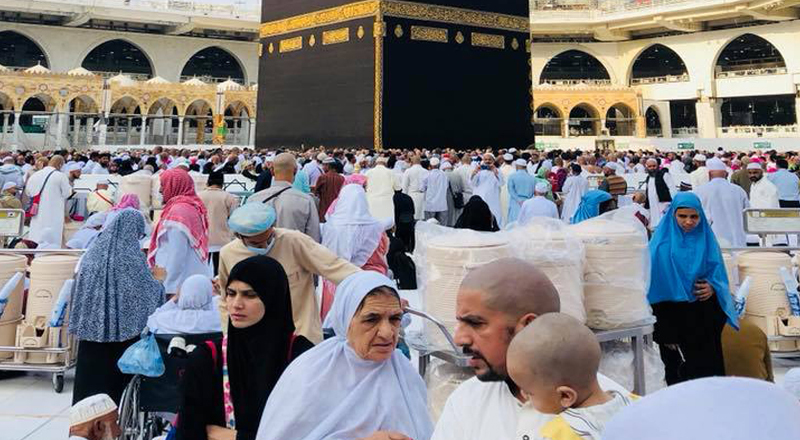 Muslims make a pilgrimage to the sacred city of Makkah. Muslims in the state of Ihram perform Tawaaf around the Holy Kaabah, perform sai between the hills of Safa and Marwa. Allah listens to prayers that people make during it so this is a great opportunity for Muslims to glorify and make supplications to the Almighty Allah. There are a number of tour operators with offers pertaining to Umrah. So how to find the best holidays offer? Following are some of the holidays’ offer from which you can benefit. Thanksgiving holiday season can be spent in Saudi Arabia with your loved ones for an Umrah trip. Take advantage of this holiday and spent it worshipping Allah ﷻ in the heart of Islam. So you can always keep a check on their website in order to find the best holidays offer. December is the time of year when the whole western world, especially the US is all lit with lights and smiles on everyone’s faces. People plan holidays and shopping sprees as there are massive discounts and sales all around. Tour operators also have good news for Muslims as this is one of the best times to get good offers. There are discounts on all categories be its budget package, economy package or premium package. So no matter what class of income you belong to, you can find the best holidays offer in the month of December. Most tour operators offer February Group, Female package where rates are quite affordable. So if you are constrained by your pocket size you do not need to feel low. You can still get your spirits uplifted by visiting the Holy Kaabah. There are a variety of other holiday packages as well. For example, a young, newly married couple can benefit from the “young couple package”. There cannot be a better start of married life than visiting the holy cities of Makkah and Madinah and gathering the blessings of Allah for a prosperous life. For students or senior citizens, there are packages as well, which are cheap and affordable. If a group of families wishes to perform Umrah together, there are packages to facilitate such plans as well.